NASA: PDO flip to cool phase confirmed – cooler times ahead for the West Coast? | Watts Up With That? NASA: PDO flip to cool phase confirmed – cooler times ahead for the West Coast? A cool-water anomaly known as La Niña occupied the tropical Pacific Ocean throughout 2007 and early 2008. 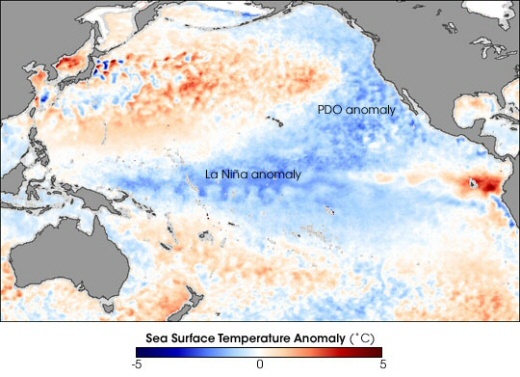 In April 2008, scientists at NASA’s Jet Propulsion Laboratory announced that while the La Niña was weakening, the Pacific Decadal Oscillation—a larger-scale, slower-cycling ocean pattern—had shifted to its cool phase. This image shows the sea surface temperature anomaly in the Pacific Ocean from April 14–21, 2008. The anomaly compares the recent temperatures measured by the Advanced Microwave Scanning Radiometer for EOS (AMSR-E) on NASA’s Aqua satellite with an average of data collected by the NOAA Pathfinder satellites from 1985–1997. Places where the Pacific was cooler than normal are blue, places where temperatures were average are white, and places where the ocean was warmer than normal are red. The cool water anomaly in the center of the image shows the lingering effect of the year-old La Niña. However, the much broader area of cooler-than-average water off the coast of North America from Alaska (top center) to the equator is a classic feature of the cool phase of the Pacific Decadal Oscillation (PDO). The cool waters wrap in a horseshoe shape around a core of warmer-than-average water. (In the warm phase, the pattern is reversed). Look out California agriculture. The wine industry, fruits and nut growers will be hit with a shorter growing season and more threats of frost, among other things. Nevada County’s agricultural commissioner will seek disaster relief from the state after tens of thousands of dollars worth of crops were ruined from last week’s freezing temperatures. “Growers don’t have anything to harvest. That’s a disaster in my mind,” Pylman said. In Paradise, CA, Noble Orchards reports damage to their Apple crop from recent colder weather, as well as reports of issue with vineyards in the Paradise ridge area suffering from frost damage recently. In 1905, PDO switched to a warm phase. In 1946, PDO switched to a cool phase. In 1977, PDO switched to a warm phase. California agriculture has ridden a wave of success on that PDO warm phase since 1977, experiencing unprecedented growth. Now that PDO is shifting to a cooler phase, areas that supported crops during the warm phase may no longer be able to do so. 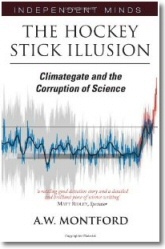 April 29, 2008 in Climate_change, Science, Weather. I notice they just Had to make a reference to ‘man-made’ global warming. The possibility that virtually ALL the warming is natural just doesn’t seem to make sense to them. I imagine when the Dalton Minimum kicks in full force, they’ll say it is just ‘masking man-made global warming’ then, too. A PDO flip and a quiet sun, they have to mention AGW as they can sense careers ending as the world slowly cools. New careers are in order … initially … careers dealing with millions of emaciated corpses … and eventually … the nasty jobs inherent to fighting a world war. hmmm…this will hit the world’s food supply–hard. Combined with the genocidal juggernaut of biofuels we are headed for some serious tragedy in the coming years. It really is looking like the moral issue of our age will be biofuels. I just don’t think there is a leader charismatic enough to tear through the levels of obfuscation caused by global warming mania to have a positive affect for at least five years–say a few hundred million dead. There is real money at stake here, and turning this train around won’t be easy. What a surprise, it won’t be Exxon Mobile that murders, but the “alternative”, “green” fuel producers. What will this mean for California’s illegals? Fewer crops = fewer jobs. I read an article over the weekend where it noted that global warming was the direct cause of below normal temperatures. I kid you not. It’s funny that ocean current oscillations only can cause cooling. If it’s warming, it’s manmade CO2. -sigh! Monty Pyton – Dead hypotesis (ok dead parrot) but if you change the word “parrot” with “CO2 hypotesis” it becomes really funny and up to date. I am a dunce; can anyone explain what causes these oscillations? Is it to do with the Sun getting cooler? 1905 warm, 1946 cool, 1977 warm. Is it just me, or does that look a lot like the warm/cool patterns of the last century? Offset by a few years, perhaps. So what drives what? Of course, humans are responsible for it. Can’t sue God, or even legislate against Him. Trust an old geezer, Jeez. When folks starve, they will blame Exxon. AGW’s not dead, it’s just pinnin’ for the fjords. The United States has about 1.2 Billion Acres of Arable Land. We use 246 Million of them for our 8 largest rowcrops. The Brazilian Minister of Agriculture states that they have 370 Million Acres Available for biofuel production. It’s figured that the higher cost of field corn has caused a $0.05 increase in your 18 oz box of corn flakes, and about $0.17 on that 16 oz T-Bone you had last night. Oh, and an extra $0.02 in that coca cola on your desk. And, Gasoline is figured to be up to $0.50/gal cheaper as a result of the pressure being taken off of supply by ethanol. Yeah, we might get lucky and survive biofuels. Survive Ignorance? I don’t know. This PDO anomaly can imply both cooler AND wetter for So.Cal and Nevada, more so than the current 90 day forecasts for the region? That’s pretty much what I was thinking. I wonder why the geniuses at the IPCC never figured that out. Speaking of geniuses; the legislative savants in Washington used our tax dollars to entice farmers to produce ethanol instead of food. So now we can be hungry as well as cold. Anthony, great post. I hope more research $$$ are out into research of PDO cycle. I hope you back is better. Are we sure these figures are not random? I don’t buy that statement at all. What is your source for this figuring? I don’t think that correlates. The ocean cycles (AMO and PDO) seem to be just natural cycles. But we’ve only observed them for a couple of rounds, so there’s no being sure. 1905 warm, 1946 cool, 1977 warm. Is it just me, or does that look a lot like the warm/cool patterns of the last century? Offset by a few years, perhaps. Seems to be a bit of a spinning top. Ultimately the sun has to be a significant factor, but I don’t know how proximate those effects are. REPLY: In COSTCO today, rice sales were restricted to one bag (10lb) per customer, and only if you’d purchased the bulk bag before. They have a sign that says this, I kid you not. The price went up 3.00 last week. It’s effecting the SH as well. Widespread frosts across southeast Australia in recent days and it’s only the end of April. It’s time to get out the 1920s and 1930s weather analogs -at least for now. In the 1930s, the AMO was positive, but the PDO transitioned to negative. If I am not mistaken, the transition from positive to negative PDO is longer than negative to positive. It took only one ENSO cycle in 1976 to transition from negative to positive. The transition from positive to negative PDO this time around took at least 2 years. A positive AMO/cooling East Pacific historically translates into drought conditions for at least 1/2 of North America (parts of the Southeast into the Plains and Farwest). The Dustbowl years of the 1930s come to mind. When the AMO transitioned to negative and the PDO finished transitioning to negative, most of North America, Europe and East Asia went into a cold regime. The fifty dollar question is solar activity. We are at the tail end of the DeVries Cycle. The Russians at the Russian Academy of Sciences have been warning about a solar minimum on the scale of the Dalton Minimum since 2005. 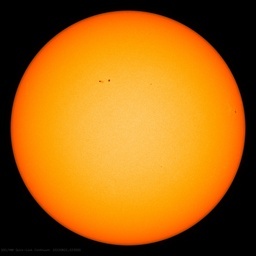 They are predicting a decrease in general solar activity in 2012 and remaining low through most of this century. If that is the case, all bets are off. The world will quickly forget about AGW. Instead of preparing contingencies for shorter growing seasons, drier cooler climates (at least for North America), we are chasing a fantasy called Global Warming. You have to remember the AGW position was well set by the time the PDO, IPO, and AMO were identfied. Their roles in climate since the mid 70s have been downplayed to create a greater impact for AGW. Now that the PDO is negative, La Ninas will become more frequent, further lowering global temperature. Add to that: the AMO may have peaked two years ago, and a possible lower amplitude Solar Cycle 24. All we need is a few explosive volcanic eruptions to throw aerosols into the stratosphere. tolls; it tolls for thee.”…..Can you hear the bells Mssrs Gore and Hansen? 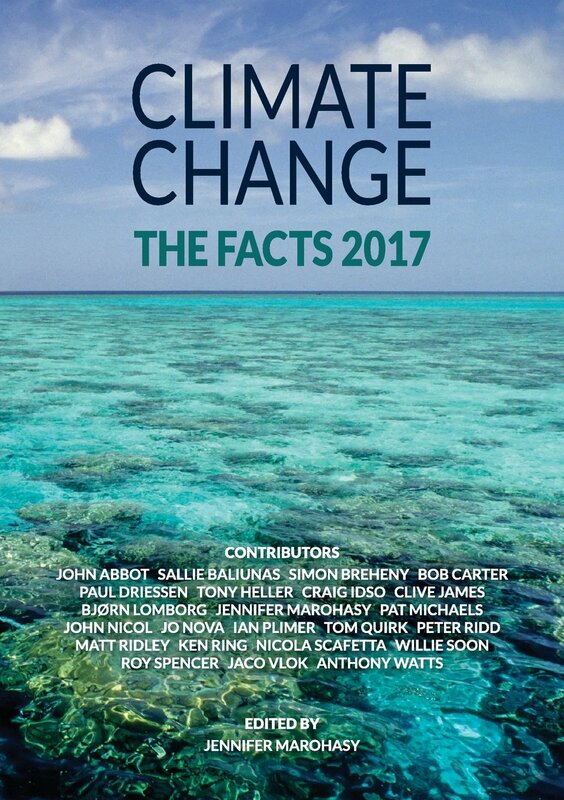 Let’s hope the media begin to sit up and take notice – if they smell AGW blood in the water perhaps even they might put two and two together!…I’m tempted to go on, “Emperor’s Clothes”, Y2k etc……but that would be a little nasty. Perhaps now we can all put our rhetoric away and get back to scientific method. I’m with you, Kum Dollison (16:01:59). You see the same type of idiocy in the “biofuels are evil” cant as you see in Al Gore’s “global warming is going to kill us all” scam. Both are based on ignorance of the underlying facts. But hey, if you get high on self-righteousness, don’t let lack of valid rationale stop you. Just something to keep in mind … who benefits if the US chases global warming while the climate is really cooling? The global warm-mongers will not miss a beat and will roll with the flow to cooling by blaming humans. They will never, ever admit to having been wrong. They will still be standing, and screaming, on their soapbox long after the crowds have walked away. And there will be no pleasure in our being able to say “I told you so.” The problems on the way will be far too serious to bask in any faint self-satisfaction. And, unfortunately, I’m afraid I agree with Steve Sadlov that the die has already been cast, too many stupid things have already been placed into motion by government and the ecofascists, and that a dreadful world war will have to be fought due to the instability they have brought to the global energy and food markets. I sincerely pray we are both wrong, but I don’t think we are. the only way the price of oil will go down is for GLOBAL DEMAND TO GO DOWN!!!!! Pray tell how our ethanol is going to reduce the demand in India and China? My god. I just noticed. A guy from Wales got “explained to” by Evan Jones That’s just not right . . .
Oh, it doesn’t affect Americans much (yet) in percentage terms. That’s because nearly everything that goes into the price of bread is either labor or overhead. The wheat part hardly even shows up in the equation. It’s the fourth-world countries that are seeing their food prices quadruple. That “dollar a day” that many of the poor of the world earn goes straight into the food itself. Where we get nudged, they get murdered. Literally. Can you hear the bells Mssrs Gore and Hansen? They have, um, brass bells. Hear the loud alarum bells – Brazen bells! The deaths have already started to increase. A year from now the use of the “f” word will be common. What is the real drive behind higher prices for grains and oil? Commodities investors. These are the people who buy grain and oil contracts for future delivery without ever wanting or needing that delivery. They speculate that those that need the grain and oil will find the price of the contract that the investor owns to be lower than the market place at the time the contracts mature and they, the end users, will buy up those delivery contracts at the lower price. It is all speculation fueled by our dumbass Congress and President who signed off on the latest enery bill that requires 30% renewal energy sources. It must have been like a shark feeding frenzy on the exchange floor as news of the signing of that bill was released. I just wonder how many of those future contracts legislators and their relatives had in their pocket when that bill was passed. The solution is to create an atmosphere where the investors start to get scared that they are over extended long and will then see more profit/safety in going short thus creating falling prices. If the less gutsy investors start to panic, prices should tumble rather quickly. Not being an economist, I don’t know what has to be done to create that mind set. I have planted about 40% of my garden this spring. It is important because due to the drought here in N E Alabama there were no gardens and the average commercial crop was less than 30% of normal last year. I am going to plant in 3 phases so that everything doesnt come in at the same time. I have more than doubled the amount of corn I normally plant and will increase other veggies as well. We intend to can the excess above daily use. I have been listening to the “new” data and have tried to prepare for cooler winters. I have cut extra fire wood and will cut more. The price of heating fuel will vastly increase. I have been accused of being negative for nearly two years, but what I have been reading seemed to not support warming at all and the unbiased figures were showing stable to cooler temps. I believe that Steve S is correct. I also believe our monies would be much better invested in adapting to cooler times. I think that the victory gardens of the l940’s will return and that our economies will be badly damaged. There will be food wars. There may be enough arable lands now to support food and bio-fuel but what happens when 30% or more become unsuitable for production at today’s level. Here in Alabama we can get a winter wheat crop and a soy bean or corn crop in one season but you shorten the season just a very few weeks and only one crop is possible. I hate being pessimistic but we are looking hard times in the face IMHO. By definition, the PDO cannot contribute to global warming. Nor can it contribute to global cooling. I’m with Robert on this, Ethanol is barely profitable with cheap corn and subsidies. I also find the gas price reduction absurd. This years corn planting (already decided) is down 6% (soy and wheat up) and is late going in the ground. Harvest will be off >10%. There is no net gain in energy burning Ethanol w/respect to that used in production. Virgin soils are a vast store of ‘sequestered’ CO2. Evaporating and unburnt Ethanol leads to significant aldehyde pollution. The AGW’ers will simply change their tune to “cimate change”, and the “crazy weather” will just be more proof to them of mankind’s evil destruction of Gaia’a climate. I’ve been saving up spit for over a decade just waiting for this moment. and get back to scientific method. Plenty of room for both. It’s a biggish world. In fact a bit of well placed rhetoric might be just the thing to prime the pump! Just what the Doctor ordered . . . But yes, there is a current demand crunch. (That’s the GOOD news: The end of the worst age-old misery of China and India.) Feat not. If what happens is what we think is going to happen, they’ll dig their coal and, by God, we won’t stand in their way–for a change. They will never, ever admit to having been wrong. They will still be standing, and screaming, on their soapbox long after the crowds have walked away. Great group of comments folks. Confirmed much of my own thinking. Still hoping we’re wrong or at least exaggerating the effects. Events of the past decade have the believers’ heads spinning. Another decade will put them over the edge. My garden is in and taking off. Know how to hunt/fish/farm. The rest of y’all better learn or find friend(s) who already know how to do some of those things. The main giveaway is the difference in the growth of refinery profit margins between Diesel (with which ethanol Can Not be blended,) and Gasoline. Once it shows up in the cost of beer, people will take notice. Almost all trends are a cooling one now. The Atlantic oscillation is one that is still in a warm phase. What other warming phase do we have? “By definition, the PDO cannot contribute to global warming. Nor can it contribute to global cooling.” Can you explain further? Serious question as I respect what you have to say. It just struck me. The NOAA must have known this in advance. Surely this cannot come as a surprise to them. Probably knew before you visited, them, Rev? REPLY: Maybe, but it’s irrelevant to my visit. I was there to discuss surfacestations, USHCN, CRN, and USHCN2 algorithms. SST’s and PDO was never part of the agenda. So in fairness I can’t fault anyone even if they did know. Gary, this statement: “There is no net gain in energy burning Ethanol w/respect to that used in production,” just isn’t correct. You will notice that some refineries use as little as 16,000 btus of energy to produce a gallon of ethanol. If you add in another 6,500, or so, of btus of nat gas for manufacturing the fertilizer, and 1,000 btus of diesel to grow, and harvest the corn you’re coming in at 23,500 btus of energy to produce 76,000 btus of ethanol (which in a midlevel blend in a modern engine can replace a gallon of gasoline – 116,000 btus, one for one. is happening all over the country. Spring and Summer in northern hemisphere??? is the type of place we’re going. Corn was just the necessary first step to get there. The debate on the economics of ethanol/energy balance of ethanol has been going on for 20 odd years. Its a life cycle assessment, and a very difficult one. Probably the best source is from ORNL – the ethanol institute is not one that I would go to for that. Kum Dollison – are you saying that 76000 Btus of ethanol is equivalent to 116000 Btus of gasoline? Wow! Thats good physics! Ethanol on a per gallon basis cannot drive a car as much as a gallon of gasoline. Even I, a supporter of methanol, will admit that you’re going to have to have more methanol to go the same number of miles as gasoline. LHV is LHV – the octane value touches on issues of flame front speed and uniformity, which has an effect on a vehicle reaction rate, but at steady state, you can’t eliminate basic physics. A few years ago I watched a very good presentation on ethanol plant baselining. If you could take the best energy aspects from all the plants, you got a positive output – but it was a close run thing. To me, the real issue is one of food supply. My first exposure to this was an article in Mathematical Geology 15+ years ago that showed that we could use all food grown in the US and convert it all to fuel – and we could use the annual output in a few months time, and there would be no food left. Since plants convert maybe 5 percent(?) of sunlight to useful energy, and to replace our equivalent “fuel” source with solar would take something on the order of 400 x 400 miles – that means we need plants taking up 895 by 895 miles to do the same thing. (all approximate – its 10 PM and I’ve got to hit the sack!). That’s basically ~23% of US land area (CIA fact book). SInce we’ve only got 20 arable land, the rquired land area by photosynthesis is greater than our land area…. A reader criticized me on my numbers in a past posting, and when you’re trying to hammer out some order of magnitude numbers to prove your point (instead of using someone else’s unsubtantiated numbers) you do make mistakes… I’ve put my assumptions here – they can be either proved or disproved pretty easily, and in the LHV case for fuels, the physics are unquestionable. If you don’t liek my numbers, please replace them and give us your thinking – I’m not trying to be snide, but I’m trying to get my thoughts out as rapidly as I can – and I’m not writing a paper for publication I hate sending people to wiki, since sometimes it can be sporadic in quality, but the article there reflects pretty well what I knew, including some of the major people arguing their case on both sides (Wang is from ORNL and has put substantial effort into examing life cycle issues). Just change the dates. You could pretty much keep the same cast of characters. And now we have an estimated 400 to 500 bil. bbls sitting under North Dakota and Wyoming. And I bet you that’s the usual pessimistic underestimation. Peak oil: Peek and ye shall find. I copped snow on my farm this week (bout 8 falls and small hail) and Im only a couple of hours out of Sydney Australia. The weather systems that normally come in June have this year started in April and this week record cold temps were broken all over the place. The resorts got bout 30cm of snow and third time its snowed so far there this year. Last year was cold but this year on many weather stations on the BOM sites (www.bom.gov.au) temps around eastern seaboard/Sydney are 1 – 2d cooler than last year. In speaking to the local farmers they say the climate shifted in the late 70s from cold wet to warm dry. The old guys are saying that it looks like weve shifted back to cold wet which fits and gives circumstantial evidence to the PDO cycle. Brendan, ethanol has, as a result of it’s 113 OCTANE Rating (gasoline has 86,) achieved 40% Efficiency under proper compression. This is compared to gasoline’s 23 – 25%. The FIRST RULE of Life Cycle Analysis is to use the most up to date data. ANYTHING published before 2006 is hopelessly outdated. Even 2006 data is too old to be used in a serious discussion. An example would be: a couple of years ago, Pimental stated that you could never get more than 2.7 gallons of ethanol from a bushel of corn. As you can see by my above post, some plants are now getting 2.96 gal/bu. Some of the older studies use 125 bu/acre. Last year we averaged 151, and I’ll betcha a dollar to a doughnut we’ll do 155 this year, and 160 with 3 years. In fact, Pioneer says they will up yields by 40% within a Decade. The CIA is NEVER RIGHT. We have 1.2 Billion Acres of Arable Land in the U.S. We “RowCrop” about 20% of That. After allowing for Distillers Grains (Distillers Grains are 33% more effective cattle feed than corn, and we get 17.5 lbs of distillers grains from every bushel (56 lbs) of corn that we process for ethanol) we will use about 20 million acres of corn to reach our RFS of 15 Billion Gallons of Ethanol from corn. < Almost all trends are a cooling one now. Meanwhile, here in Belgium the media a few days ago said that the northern polar ice is melting 3 times faster than previously thougth! Evan, I don’t know if we’re at “Peak” Oil, or if we’re a couple of years out, or what. But, Oil is at $115.00/bbl, and “Exports” (the Real “name of the game”) have been falling for Two Years. It doesn’t seem like THAT could be Good. Unfortunately Europe is in the middle of a warm oasis at the moment, and the euro-media keeps telling the citizens how warm it is. It will be interesting when Europe gets hit with a real old fashioned winter. I believe that human influences on climate are minor compared to natural influences. I also believe that global warming is much less threatening to humanity than global cooling. 1. Solar cycles, such as the ~80-90 year Gleissberg Cycle. 2. Studies of solar physics and current solar activity trends. Wouldn’t it be truly ironic if our society wasted hundreds of billions of dollars in a futile fight against global warming, only to conclude in the very near future that it is getting much colder, and we are not at all prepared for it, and we have squandered our scarce capital and resources to prevent a global warming crisis that did not exist? In the next 5 or 10 years warming is likely to be maintained as a transpolar shift occurs. This will be followed by the magnetic pole moving away from the geographic pole, a decrease in solar activity, a southward shift in the Gulf stream and considerable world cooling by 2040 AD. The Kyoto initiatives to save the planet from the greenhouse effect should be put off until better times. The global temperature maximum has been reached on Earth, and Earth’s global temperature will decline to a climatic minimum even without the Kyoto protocol. Sunspot numbers are well on the way down in the next decade. Sunspot numbers will be extremely small, and when the sun crashes, it crashes hard. The upcoming sunspot crash could cause the Earth to cool. Zhen-Shan, L. and S. Xian. 2007. Multi-scale analysis of global temperature changes and trend of a drop in temperature in the next 20 years. Meteorology and Atmospheric Physics, 95, 115-121. Alert note 31.10.2007 – A probable new Dalton minimum. – The Jupiter perihelion and sunspot minimum never coincide and the nearing perihelion will slow the rise of the height of sunspot cycle, as happened to the cycle 23 and will happen still more dramatically to cycle 24. – The Gleissberg cycle has almost reached its lower limit, which is 72 years. — In fact this low it has not been ever after the Maunder minimum. — So it must go up, the short cycles of the 20th century has created a debt that must be paid. WHAT CAUSES THE PDO ? “Dear Pierre, I don’t believe that PDO is linked to solar activity in either direction. In principle it might but the key thing is that I believe that such a relationship is not necessary from any viewpoint I can see. PDO is a result of a turbulent and not-easily calculable process. I imagine that a cool PDO phase attracts La Ninas because the cool equatorial waters naturally “fit into” the cool horseshoe of PDO. And vice versa, warm PDO attracts El Ninos. The second part of the question is why El Nino and La Nina warm up or cool down the Earth. Well, the Pacific ocean is large so what happens in its center matters. Of course, you are right that these effects seem unnatural from the viewpoint of the “total” energy budget of the whole ocean and atmosphere. But the flows of “total energy” are surely influenced by the internal structure of the system, too – by the non-uniformities. And different pieces of the land and ocean have different abilities to influence the flow of heat, via the changing ability of ocean basins and continents to emit or absorb heat from the neighborhood. So it probably matters a lot whether you put the solar heat in the middle of the ocean or the boundary. I think that experimentally it is very clear that it matters. The people – and models – who ignore such things are making a serious and naive mistake. It might be a “second order effect” but such effects are damn important for the climate. Looking at different charts, the global temperature seems to correlate with both solar activity and PDOs. Is this a coincidence? So What if the corn used is usually only fit for cows. If they are going to push biofuels, then MORE corn of that type will be grown, and less for People. If the PDO can hide AGW, then AGW can’t possibly be the main cause of warming as stated by the IPCC. This helps explain why the monthly average high temperature in San Diego has been below normal for 11 of the last 12 months. The only exception being August 2007 when it was 0.3f above normal. December 2007 and January 2008 were each 4.7f below normal. A curious statement. What definition? I thought it was an observation from data? and the two phases look drastically different in ocean temperatures. Are you saying that two degrees differences do not affect cloud cover, weather systems, and hence albedo, snow cover ice extent etc? Strange model you must have there. “Mean annual and seasonal temperatures for the positive phase were up to 3.1C higher…..Likewise, mean cloudiness, wind speeds, and precipitation amounts increased, while mean sea level pressure and geopotential heights decreased. The pressure decrease resulted in a deepening of the Aleutian low in winter and spring. The intensification of the Aleutian low increased the advection of relatively warm and moist air to Alaska and storminess over the state during winter and spring. Atmoz: we have witnessed the direct cooling effects of La-Nina in the past several months. How can the broader cool PDO NOT have an effect?? A mere 3 times ;) We’ll see this summer how it works out. The only demand the EU have to biofuels is that they emit >35% less CO2 compared to fossil fuels. If we put 5% biofuel in the fuel that would mean we reduce CO2 emission by an amazing 1.75% compared to all fossile fuel fuels. That wouldn’t make a difference to just about anything, except food prices. If you get by on 2 dollar or less a year that’s nightmarish. Just as the oil companies have been accused of intentionally limiting supply to raise prices, the farmers can choose to push the price higher possibly driving the ethanol producers out of profitability. Also, all of that “arable” land you are talking about happens to serve a purpose already. Do we have to turn all of the prairies and woods into waving fields of corn, saturated with pesticides and fertilizer? Corn is notoriously hard on soil, thus the need for crop rotation. In your ideal world, will demand for biofuel outstrip the intelligent management of farmland. If we do see a shift in climate towards drought, will we be back to the Dust Bowl of the Great Depression? You are very optimistic about biofuels, but I’d say there are a few weevils in the corn. Peek and ye shall find. Do a search on E85 and you will see back to back comparisons of fuel economy. CIA’s facts are correct on this, despite your remark to the contrary (http://www.epa.gov/agriculture/ag101/landuse.html). My language may have been slightly misleading, but not if taken in context. I should have said that a simple calculation shows that the amount of land needed for ethanol production exceeds our current crop land (areable) use. I was not trying to perform a life cycle analysis – of which I have performed many, by the way – but I did in fact point out the most respected group for doing life cycle analysis of this type in the US – the ORNL group. The Wiki was merely an overview of the arguements. Go check out ORNL for the latest (and I do mean latest) in life cycle assessments. The wiki gives a pretty fair overview of where that is – as stated. You’re arguement over corn is a straw man. Crops are being rotated out to produce fuel or sold primarily as a fuel supply, tying for the first time the world energy market to food. That’s simple supply and demand – if a better price is paid for a product, that product will seek the price. Food prices can’t compete with fuel prices. PS – Had a chance to look more closely at your ethanol study – the executive study says it all. An E30 blend increase gas mileage by 1% (probably statistically insignificant) and E20 by 15%. There’s your complexity curve. A 20% blend will (108000 Btu) increase the overall octane rating and smooth out flame front issues enough to overcome a slightly average lower LHV – but by the time it reaches 30% (104000 Btu), that octane advantage vanishes. E85 (82000 Btu) vehicles will operate as advertised – delivering less miles per gallon. We would have a hard time increasing areable (do you understand that definition?) land beyond where it is, since that begins to impact on water supplies. Oh, water, we haven’t talked about that! Well, here we go! We may not have a food issue here (by the way, deliver that junk corn to the third world and they will wolf it down – starving people don’t discriminate on food… you can ask my wife who was a refuge in the Bosnian war and my mom who grew up one of 9 children in Ireland) but we do have water issues. And how about the increasing impacts to the Gulf of Mexico? Hardly has anything to do with octane rating. The rating is an indicator of resistance to detonation induce by compression. 89 octane gasoline with 10% ethanol is still 89 octane and the compression ratios have to be set for 89 octane. For a given compression ratio, using a lower than optimum octane rated fuel results in predetonation (high speed burning really) with its characteristic ‘knock’ sound while the use of higher than optimum fuel results in less efficient burn. All off-optimum fuel use results in decreased efficiency and increased waste. So, if ethanol indeed has a 113 rating, then mixing it with 89 octane and burning it in an engine ‘tuned’ for 89 octane is mostly detrimental. Running pure ethanol in an engine with a compression ratio properly set for ethanol will, almost by definition, give a better efficiency than running a compromise mixture. If higher octane alone where the key to better efficiency, then a return to the muscle cars along with 120 octane fuel would be the key, no? You statements are a mixture of half-truths. Washington DC enticing ethanol at the same time paying subsidy to rice farmers to not grow rice? And some of the current inhabitants on this earth think that modern man is more itelligent than those of past? All politicians think this of themselves. Oil’s climb to $115-120 has more to do with the precipitous fall of the dollar than supply/demand. Oil by the Euro has only risne ~130% since 2001. By the dollar, ~330%. Continued drop in interest rates and the production of dollars has contributed to this immensly. Are we at peak oil? Who knows – we can’t even do exploration drilling in the arctic (although Canada does – and they find a lot up there!) I’ve made my opinion known that we should transition to a nuclear/methanol economy and get off oil’s randomness, but I don’t think oil is bad – it givesus freedom and the cost to the rest of the world has been an infusion of American dollars (admittadly not worht as much as they used to!) Ethanol is resulting in food riots. I choose oil. kum: We are looking at it from opposite perspectives. You are taking a tactical view while I am taking the strategic angle. What I figure is that the oil biz is at a transition point. That between cheap “stick a straw in the ground” methods and the “not worth it till it’s $30 a barrel” methods. Thus, we are in a period of “catchup”, a down-dip in the graph. But a temporary one. Already we are seeing countries like Cuba and China scurrying to areas off our coast where the US is “banned” from exploiting. The newfound demand, alone, will spur the world to greater efforts. It’s sort of like solar cycles, but with a continuing upward trend. The “old cycle” is fading out, but the “new cycle” is already beginning to take up the slack. It appears that there is a discrepancy between two sources for SST. One shows more cooling than the other. Any thoughts on which is more accurate? Is the “real” cooling being downplayed? why push out an intermediary step at the cost of the third world going hungry? Brendan, the Impala that got 15% better mileage on e20 was definitely an outlier. The point I was trying to make was that, although it takes a whole lot of compression to get the max out of a high blend like e85, it doesn’t take nearly as much to utilize a lower blend. The whole point was that in a low to midlevel blend ethanol is, virtually, interchangeable with gasoline in a Modern engine. BTW, 99% of ethanol is used in a 10%, or less, blend. Arable Land is any land that is non-forested, and suitable for agriculture. We currently pay farmers NOT to farm 34 Million Acres of Arable Land. The current RFS calls for a Max of 15 Billion Gal/Yr of ethanol from Corn. This would entail, After allowing for Distillers Grains, the use of about 20 Million Acres. Actually, with the advances that are being made in seeds, etc. it will probably be less than that. 34 – 20 = 14 left over. Guys, world agriculture has some problems; but, the availability of Arable Land isn’t one of them. Corruption, backward economic policies, High Import, AND Export tariffs in the countries that produce, and consume rice are probably the first places one should look. Dan, I’m NOT engaging in “half-truths;” but, you need to look into the new engines with Variable Valve Timing, Direct Injection, Variable Ratio Turbos, etc. The Valve Timing, alone (which many current autos have,) allows the engine to do some interesting things with midlevel blends. I’m going to go away, now. I’ve said my piece. The thing is, an expert can lose credibility in his field of expertise if he expounds loudly (and, incorrectly) on a subject in which he has limited knowledge. 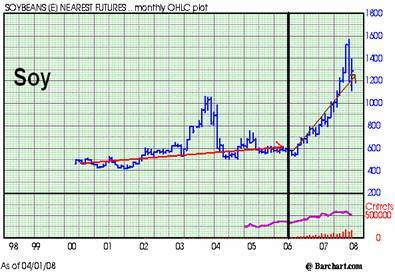 By the way, Wheat (remember the crisis?) is dropping like a rock. The “Cash Price” this morning had a “Six” handle on it. Down of 50% from it’s recent high. And, Corn? Hard to say. The elevators have so much on hand they’re, largely, NOT buying any. Eggs are down; Milk is down (despite enormous demand for dried dairy products out of China;) and, did I mention, the CPI for food in March was up 0.2%. I’ve been casually observing Australian weather and climate for a few years. I think one can make the case that Australian Fall – Winter weather / climate may be a significant leading indicator for the world. I base that on science – due to the fact that Australia touches both the “dipole” formed by the Indian Ocean and West Pacific Warm Pool, as well as the Southern Ocean. The Southern Ocean has gone cold, and, the “dipole” has a very weak “field” right now. The “dipole” is not feeding as much heat into the system as it was during the 80s and 90s. Er, 76,000 BTUs doesn’t replace 110,000 BTUs. Actually, the Arctic ice has been melting extremely fast in the last eight days. We could speculate on why (e.g., thin ice?, ocean currents? China’s black soot? ), but I have not heard of any insightful explanation on this. And, it could be just a burp while global sea ice is still above normal. As you take data and analysis from a study, please observe the study’s date. I authored a study 27 years ago that blasted ethanol due to the large number of BTUs needed to grow / make it. Since then, farmers are taking three fewer trips across the field to grow corn; crop yields are up 50 to 100%; the conversion process is more efficient; and we are better at using the conversion’s byproduct. The U.S. and the E.U. have subsidized corn below the cost of production for so long that they have, basically, driven the third world farmers out of business. Five, or Six Dollar corn will, maybe, put a lot of them back into production. I believe further investigation will reveal every statement of yours in favor of Ethanol is grounded in over-simplification. But please note the cost of increased nitrogen applications that is enviornmental–the aquatic dead zones toward the end of the article. You made no attempt to determine this cost per gallon. how does $7 Billion come out to $1.90/gallon? As for the “dead zone:” it’s been building for a long, long time. I’m sure there are Many contributors, and I think we need to work on it. I’m sure we can figure it out. Re An Inquirer and polar ice. If you go into the regional breakdown you will see that there are obvious data problems in both Bering Sea and Baffin Bay. Ice area simply does not go down a hundred thousand square miles one day and up fifty thousand the next. I would say that the real melting rate is only slightly higher than normal for the time of year. As Robert and Brendan noted a gallon of Ethanol does not replace a gallon of your petrol. The DOE (care of U of Chicago) paper you cited gave an optimistic 40K btu used to produce 76K. So your output half of the equation needs balancing still further. The same agency kept telling us the Ethanol blended into our fuel returned 70% of the mileage. I remember some chemical engineers (ostensibly with no dog in the fight) said, well, 30%. I made several trials of my own with my unmodified 4-cylinder Camry and found 0%. Now, who, seriously am I to believe; your arithmetic or my lying eyes? There is still one warming trend left. And it is both natural and man-made. It is caused when “some of the people” have been attempting to fool “most of the people” “most of the time”. It creates a chemical reaction, that results in anger and frustration, and is enough to actually get “your blood boiling”. The good news is the btu’s burned will help keep you warm, when the sun, the ocean’s and the glaciers, refuse to cooperate, with the AGW propaganda. The Gulf Stream is now the latest domino to fall. The excuse machinery is in high gear. There will be a constant stream of “if it weren’t for , we would really be in trouble”. Then the first sign of any warming will be “proof” of AGW. And anyone that doesn’t believe, is a flat-earth moron. Gary, in this test the State of Minnesota, with help from the Univ. of Minnesota, tested 40 identical pairs of vehicles, half with straight gasoline, half with E20. After removing a couple of outliers (that got incredible results with E20 – or, incrredibly bad results with gasoline) the difference between the vehicles using E20, and those using straight gasoline was 1.6%. The results are in section 15. Note: The Toyota Prius went from 40.7 to 38.5, or about a 5% difference. Did you run 3 tankfuls through in your tests. That’s very important, as was explained in my prior link. I have a theory. I believe that when the days get longer, ice has a tendancy to melt. I call this theory “Spring”. To test my theory, we can check again at this time next year and see if ice is also melting quickly in the Northern lattitudes. Inquirer, the reason is summer! When the ice forms 3 times faster, in Winter, the press doesn’t mention it. I told you that global cooling is caused by global warming! It is an established fact that ethanol only has 2/3rds the energy content by volume as gasoline. We buy gasoline by the volume. Therefore, we must get less mileage. People probably delude themselves and with only 10% ethanol, as we have in Canada (grrrr) it isn’t noticeable, but it is real. When gas prices go up, I modify my riving habits, 110 instead of 130 klicks. If indeed, the NAO flips, on top of the PDO flip, on top of La Nina, on top of the feeble solar activity, on top of Asian aerosols … we be in deep doo doo. It would truly be a perfect storm … a perfectly cold storm. I looked at areal extent in the NH today, nothing abnormal. Still a very minimal anomaly, statistically zero. Well within measurement / data “interpretation” error of the passive u-wave methodology and corresponding estimation techniques. Globally the anomaly continues its move into positive territory. Robert, a chunk of coal, a twig of grass, and a granola bar ALL have BTUs. The problem is you can’t burn them in an internal combustion engine. Now, it’s true, your standard modern engine with a compression ratio in the nines can’t extract 40% efficiency from that 10% that’s ethanol; But, it can make a few adjustments (with the exhaust gasses, for instance) and get it within a nudge of 23%. That’s why your standard Modern engine gets within about 0.5% of the mileage of straight gasoline when running e10. There is no point in telling her of the the PDO cool phase or the current and predicted quiet energy levels of the sun; she has made up her mind. Kudlow estimated all 2006 federal and state “subsidies”, both direct and indirect, at $1.44 – $1.96 for a gasoline gallon equivalent of ethanol. No doubt experts could argue endlessly over his methodology. BTW, with oil well over $100 a barrel, does ethanol still need subsidies? Yeah, Gary, Globalsubsidies.org is a Swiss-based outfit (funded by, I don’t know who) that has taken a huge interest in American ethanol. Their numbers are pretty much nonsensical (e.g. Taking the tax credit, then adding in the tariff that was passed to nullify the tax credit, adding in corn subsidies (that are no longer paid,) etc. No, Gary, the U.S. “Corn” ethanol industry doesn’t really need the tax credit, anymore; but, the American people do. There’s no way we could get the investment to move to the next step, Cellulosic, without it. Congress lowered the Tax Credit on corn ethanol by $0.06 in the last farm bill, and will probably slowly do away with it over the next several years. And, the E85 folks need it. They are a good insurance policy in case we really are getting close to the “peak” in oil. I find the decline of the AGW ‘myth’ the best news in years. Once and for all, Gore and his ilk will be muzzled by their own silliness of the past. They will be too embarassed to speak ever again. As far as bio-fuels go, there is plenty of research needed before grand pronouncements are made to subsidize and fund large-scale quotas. There is emerging technologies that will make ANY organic matter into ethanol or methanol. lawn clippings or leaves in the fall could be the source of our needed fuel. No extra land or food production has to be directed to growing bio fuel. All people need food and water… both are in current short supply. Those two things need to be protected from speculation and greed. We all think we need fuel, myself included, to live our daily lives. We do to an extent, but we must not create a situation where growing food-crops becomes less important to the need for fuel for our Hummers and wasteful travel desires. honestly, bio-fuel are way too young in the development cycle to be seriously considered yet. 10 years from now.. maybe. Geo-thermal and Nuke is a mature technology and quite capable. Geo-thermal can work anywhere on earth… it just takes money to drill the hole. After that…. endless FREE energy. You can use it to make steam, and use that steam to make ice… best of both…heating or cooling. Google: Cheena hotsprings, alaska if you don’t believe me. They have a summer Ice Museum…. made from geo-thermal. They make electricity, ice and heat. pretty amazing technology. It is all made from a unit that is about the size of a walk-in cooler at a restaurant. The Greens can harp about alternate fuels all they want… but the earth provides limitless sources of cheap clean energy. First of all for most of my teenage years if we ate corn it was field corn, that is what we grew on the farm. It was good, it was healthy, and we froze it for later use. It is the same as today’s sweet corn except that the picking times for human consumption as fresh corn on the cob was much shorter. (only a few days) And we made the most of those few days. that was in the 50’s and 60’s. Today I usually grow sweet corn for my consumption and get 2 crops a year. The picking time for human consumption is in weeks instead of days. Also if you leave it on the stalk to dry like field corn guess what it is just like field corn unfit for consumption like field corn. Except when ground in to meal for use as corn meal. Now your nice E20 and higher blends are very good for you rich folks (your efforts appear to force change to new technology currently unaffordable to John Q public. the E 10 that most get today in what we call high compression engines isn’t so bad but to change to the higher bio fuels at this time is not economically feasible for lots of folks. I think that I still prefer to eat my corn rather than burn it. PS. Corn does make a very good whiskey if one desires. All right, I’ve been pwnd. Riotous fun, that. Minnesota is rife with Turkey farms. A British firm is piloting a biodiesel plant using their excrement. Now that scata has promise. Perhaps I could have been clearer; the rate of melting Arctic ice has been much faster in the last several days in comparison to the rate of past years. In mid-April, 2008 Arctic ice was well over 500,000 sq km above the 2007 level. Now, the 2008 is close to the 2007 level. Earlier in April, Arctic ice was approaching the 1979-2000 average; now, it the anomaly is 1,000,000 sq km below the average. I would expect skeptics to understand that references are to multi-year trends and anomalies :-) — not to the coming of spring, but I apologize if I was not clear. Doesn’t this explain the warming better than the article does? REPLY: Well the can’t seem to see the relevance of the Ross Ice Shelf sitting astride the same sort of active geologic zone either. Buy and store Oregon, Washington, and Idaho wines. We won’t see new wines from these states for a loooonnnngggg time, which means you could re-sell for a handsome profit later on. Buy before they begin limiting purchases. As I was saying, Ethanol returns no more energy than that required in its production. Please do not send us on more pointless efforts to vet your silly claims to the contrary. An ideal world is not available for residence. I will not claim to be any kind of expert on this, but In March, I had 1000% more snow in my yard than I did a year ago. Now, I have the same amount of snow in my yard – zero – as I did a year ago. Perhaps this is apples and oranges, perhaps not. It only seems logical to me that when you have a lot more of something that can melt, and then things start to melt, a lot more stuff will melt. But I’m admittedly engaging in conjecture. Will someone please explain to me why we do not use the years 2001 -2007 in the average? The total period from 1979 – 2007 inclusive is 27 years. Why are they using only the first 22 years of that period for the average and not including the last 5 years? Would that drop the average down so that the anomalies in 2001- 2007 show to be lower? Gary, you didn’t click on the “State of Minnesota” link. It’s not the same line as the Mn State link. Section 15 (you need to magnify) does give the fuel mileage results over the entire 1 year period. No, you haven’t be “p’wned.” Here’s the EPA test that found ethanol can deliver 40% efficiency. An Inquirer, Look more closely at the crysophere web-site data. It seems that the big jump in slope at the end of April is primarily an artifact. (There are many artifacts and discontinuities in the cyrosphere at Illinois data, I do not know why.) If you look at each sea, there is a wierd discontinuity towards the end of april in most of the northern hemisphere data, primarily in the Berring Sea. I think that we have to look a little longer to see a legitimate slope trend. I have to put my two cents into this ethanol efficiency debate. About 30 years ago I co-owned a company called “Research Unlimited” based in Crete Illinois. Our mission statement was to investigate and capitalize on new technologies in the chemical and electronics industries. To this end we designed special purpose computers for many in the fast food industry (including Mickey D) as well in the aerospace industry (including Goodyear and others). We also worked on developing specialty chemicals to enhance the mining of coal, increasing tool life in machining shop operations, and for increasing gasoline engine life. In the course of doing the latter, we came across a small company in New Jersey who had developed an ingredient claimed to increase gas mileage by up to 30%! After testing the product over a six month period, we bought the company’s trade secrets. Having said all that, it’s the testing I wish to focus on. “kum dollison” (don’t know why he can’t capitalize his name) has been alluding to tests performed by the likes of Iowa State University, Merril Lynch, University of N. Dakota, and Mn State at Mankatow as his sources for impeccable information. To that I say nonsense! When we first came to know of this special additive, we ran preliminary tests at Standard Oil’s research labs and had incredible results. This led us to purchase five Pontiac Grandvilles, which we stripped bare (except for the driver’s seat) and baselined for the next three months over a measured portion of I-57 in Illinois. During the baselining period and subsequent road tests with the additive in the tanks, we switched drivers between vehicles to establish each driver’s peculiarities. We even went so far as to measure wind speed and direction, humidity, and temperature during each test, as well as each driver’s biorhythm’s. The drivers did not know whether the additive was in their tank of gas or not. Otherwise, we attempted to make these tests as “blind” as possible. After eight months of recording each vehicle’s results, we then took one of the cars to the a WELL known, EPA endorsed lab where they had so graciously agreed to run the standard EPA tests with and without the additive. Folks, the REAL world and dynamometer testing are two entirely different animals! After questioning some of the results, one of the technicians told me privately that each test can be profoundly different from another just based on the test driver’s attitude. If a test driver runs the test as though he has an egg under his foot, he’ll accomplish completely different results than if he doesn’t… and it’s not even noticeable to the average eye. He also said he can give me any result I want (and no, he wasn’t looking for a bribe). The bottom line is simply this: the sources cited by “kum dollison” all have a “dog in the fight” in the sense each of those States, as well as Merril Lynch, stand to profit from the ethanol debacle. Any poll or report based on information provided by those with a vested interest should be looked upon with a great deal of suspicion! Having said that, I wouldn’t give a tinkers damn for any of “kum dollison’s sources! I suspect they use that base period because it will give them the numbers they’re looking for! BUT, you didn’t read the links, did you? One (the State of Minnesota Test) was a “Real World” BLIND Test with a combination of professional drivers, and State Employees. No one knew which fuel they were using. I guess the EPA Research was rigged, too. Is that how you do Climate “Research?” Ignore all evidence; and go with your preconceived notions? The information that kum dollison posted is indeed correct. – much more so than your attempt to equate your experiences from 30 years ago. I’d say it’s time for you to step away from the dark ages. “The Flex-Fuel Vehicles (FFVs) produced today, use fairly typical gasoline engines, which, because they must retain dual-fuel capability, are not able to take full advantage of the favorable combustion characteristics of alcohols. Guys, the PDO is a *regional* phenomenon. Look at the temp map; you’ll find that there are lots of areas in the Pacific with a positive temperature anomaly. In other words, PDO is about the *distribution* of heat, not the total amount present in the atmosphere/ocean system. In the big picture, there is one thing that warms the earth: the sun. Likewise, there is one thing that cools it: radiative loss to space. Man’s modification of the atmosphere–directly measured and beyond any dispute–affects the second. More long-wave radiation is absorbed and re-radiated as infra-red; the upper stratosphere cools (and this too has been directly measured) and the lower atmosphere–the troposphere–warms. Natural variability will still exist; you will still have colder and warmer years. But the lowered rate of radiative heat loss superimposes an upward temperature trend on that natural variability. And that is what we see: global temps have *not* ceased to rise, contrary to much of the recent hoopla. Temps in the US Northwest may be another story over the short to medium term if the PDO observations are correct; but that just means somewhere else will be warm instead. I have been in a brief discussion with a science journalist in England who tells me that all temperatures on all continents have increased over the last decade or so (shown by temperature anomolies since 1900). He sent me a graphic from IPCC to illustrate this. This seems to go against what I read on here. Can someone tell me which is correct? He had originally said he trusted satellite data more than surface stations, because I had argued about the lack of control over the decades with heat islands etc. These IPCC figures must be based on surface readings I assume. I wouldn’t be too quick to dismiss the PDO as having little more then a regional influence on temperatures. While it may not be a direct forcing it could have indirect consequences such as increased cloud formations which would reflect radiation and cause, in this case, a negative feedback influence on forcings. I’m wondering does anyone have a link to the effects of a shift to a cool phase on the climate on the western side of the Pacific. I live in Japan and am struggling to find much info on how it’s going to effect us. Can A Cold Object Warm A Hot Object?